WHITEFORD AUCTION SERVICES, A UNIQUE COMPANY HELPING IMPACT THE NEXT GENERATION. Whiteford Asset Management & Auction Services is a unique company with an even more unique mission. Their staff is committed to bringing the highest quality service with the latest technology. We want to assist your family or business in managing or selling your assets. Jeff and Becky Whiteford's (the owners) first passion is helping this generation of youth keep the right focus in life. Jeff and Becky have spent the last 23 years in youth ministry helping and counseling teens and families across the country. Jeff and Becky have used the auction business to supplement their ministry income in order to be less of a financial burden to local churches or ministries. The business has also allowed Becky to spend most of her time with their 6 children . Jeff and Becky's 3 daughters and 3 sons play a crucial role both in their business and youth & family ministry. 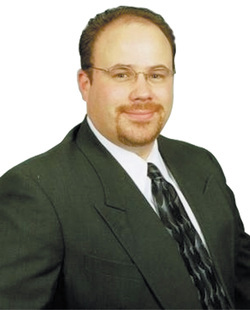 Since 1989 Jeff has been helping businesses and individuals manage or sell their assets using cutting edge technology. As a Licensed Auctioneer, Jeff has over 26 years experience in buying and selling Business Assets, Cars, Motorcycles, Personal Estates, Restaurant Equipment, Office Furniture, Real Estate, Antiques and Collectibles. Jeff has spent a number of years in the financial industry as a consultant and Business Banking Specialist; he understands the importance of managing your assets and maximizing your dollars. Jeff has had the opportunity of working for the 2nd and 3rd largest banks in our country. While working for one those banks Jeff was responsible, along with his manager, for organizing a day that turned out to be the largest banking day in their bank's 100 year history. Jeff has taken these same skills and experience and implemented them into practice at Whiteford Asset Management & Auction Services. We have over 300,000 bidders, growing many weeks by 1,000 new bidders, eager to bid on your items and buy them. We are one of the largest Online Auction houses in the Midwest. We MINIMIZE the headaches involved in selling by allowing our professional auction staff to handle the selling process for you. Most importantly, we MAXIMIZE your profits by using the latest technology, offer you 26 years of experience, and put your items in front of over 300,000 of our eager bidders. Don't delay--use the sell/consign or donate an item tab to contact us today! Jeff & Becky's greatest accomplishment is managing the Sensational 6, their 6 children. Mikayla Whiteford - Auction Mgr. Mikayla's focus is the companies day to day operations. Mikayla has proven to be an important part of our team and plays an important part in the growth of our company. Her hard work and ability to serve people has proven to greatly enhance client relationships and the bidder experience. With over 26 years of experience as a business owner, Chris has incorporated her ability to establish a strong business foundation at Whiteford Asset Management & Auction Services. Chris has owned a real estate company for the past 26 years, and owned and operated a multi-million dollar building company. Chris handles all of our real estate transactions. Chris also oversees the financial aspect of our company and is crucial to our past and current growth as a company. Chris holds her Bachelor's degree from Bethel University and has her Masters degree in theology. Dr Whiteny has been with us for a number of years and has been a blessing. Bruce has provided a multitude of valuable tools that were implemented at our company. Bruce is now called upon when we are doing larger more complex jobs. Lori has a keen eye for detail. Lori has been with us the longest and has been involved with almost every aspect of Whiteford Asset Management & Auction Services. Lori's ability to organize and manage auction product is the best in the industry. Lori and her husband, Terry, are animal lovers and manage a farm full of animals. Lori not only brings her business skills to Whiteford Asset Management & Auction Services, but she is one of the funniest people you'll ever meet. Stephanie is the latest addition to our staff and helps us from time to time. Stephanie's enthusiasm and desire to serve people is amazing. Stephanie is an excellent example of a person who is there to serve people and make the day go smoother. Stephanie's ability to meet people's needs is a great asset to Whiteford Asset Management & Auction Services. Victoria's love for photography is a HUGE help to Whiteford Asset Management & Auction Services. Ashley's administrative skills also HUGELY benefit Whiteford Asset Management & Auction Services in every area of our company. This Dynamic Duo has a great future ahead of them. Jeffery Whiteford II, David Whiteford II & Stephen Whiteford - CEO Jr's in training. If you compare the quality of our services and staff with ANY other company, no one comes close. Integrity first! Our vision and values is what makes Whiteford Asset Management & Auction Services so unique. Our vision is to serve people with integrity, providing them with the absolute best and highest quality of service by using the best and latest technology. This is why we have been able to serve businesses and people locally, nationally and even internationally. Our company is unique and so is our goal. Our goal is to sell to tell. Our company was started to sell peoples' assets in order to tell more people and reach more people with the GOOD NEWS!!! There's plenty of bad news just about everywhere. So just what is the GOOD NEWS? Well Jeff, Becky and their management team have one focus and one goal. Their goal is to give the best possible service in order to share with everyone they come in contact with about the area that has impacted them the most, their personal relationship with God. The GOOD NEWS is not about religion, but, rather, a relationship with God's son, Jesus. We have found if we keep our focus vertical (on God) and serve people that all of our needs are met and our schedules are full. Been doing it this way for 24 years and we have found.....it WORKS! We are also unique in that we do little to no advertising, however we get new business all the time and almost 100% referral. We look forward to helping your company or family sell their assets.